Running on mountains with the boys. EA set to reboot their military shooter series with Medal Of Honor (2010). It didn’t work out to their satisfaction as they’ve now (sensibly) decided to focus on Battlefield as their shooter franchise. As its name implies, Medal Of Honor was always about the heroes of American wars. After its origins in the relatively black and white world of World War II (1999, with Steven Spielberg on board), the wars of today are fought on mountains and in valleys most people would struggle to place on a map, against foes most of us don’t really identify with at all. I recently re-watched Rambo III (1988) and for all its blatant anti-USSR propaganda, it actually paints the people of Afghanistan and the surrounding regions in a sympathetic, relatable fashion. I haven’t seen Western protagonists having fun with these little understood tribal peoples in any other major movie since. I’ve shot virtual tribesmen in the hundreds and thousands, though, and I’ve come to associate their language with war grunts and screams of pain, all through our disturbingly warped media about the wars of today. I don’t know if it’s all that different to othering WWII era Germans, really, but it strikes me as much more dangerous because this isn’t history we’re dealing with. This is largely the reason I’ve stopped playing modern military shooters. Where Call Of Duty is about making as big an action movie out of an imagined war as they can get away with, Medal Of Honor attempts to stay true to its inspiration. On the cover, that inspiration is the so called “Tier 1” special forces units of the United States military, including the household names of “SEAL Team Six” and “Delta”, who operate very deep in hostile territory with little in way of support from their mighty military machine. Later on the game branches out to the Rangers, but the mystique of Tier 1 is very much present all through. It’s a breed of soldier popular in fiction and non-fiction, operatives who value being able to work alone and sidestep all rules to get the job done, whether it has to do with appropriate clothing and facial hair, official tools or rules of engagement. They are the modern ninja, shadow warriors of which very little is known and much imagined. Ideal videogame subject matter, in other words. Medal Of Honor (2010) manages to stand apart to a degree by keeping the action small and inconsequential. You’re chasing informants in confusing, poor villages and seizing barely functional airfields, none of which counts towards stopping a major world-threatening plot. You are merely surviving and doing your part in a war. This side of the game is refreshing in its focus. They could’ve done a much better job of it, though. You don’t get to know these operatives beyond their callsigns, whereas the most impressive and relatable depictions of these men are always in contrast to other soldiers and civilian lives. Instead, you’re given a wholly uninteresting and throwaway story of the operatives Getting The Job Done when men in Washington don’t know better. I guess the problem was that the somewhat believable scenarios didn’t amount to much and the developer, Danger Close, felt that there had to be a bigger story. The problem isn’t just on the level of themes and storytelling. The gameplay would’ve been better off abandoning the corridor shooter formula, which only really works when you keep thinking of increasingly implausible scenarios, and opting for something a little more open – allowing you to stay more grounded. To date, the best portrayal of special forces operations is the original Ghost Recon (2001). Medal Of Honor had the opportunity to be a big budget story about people in war. 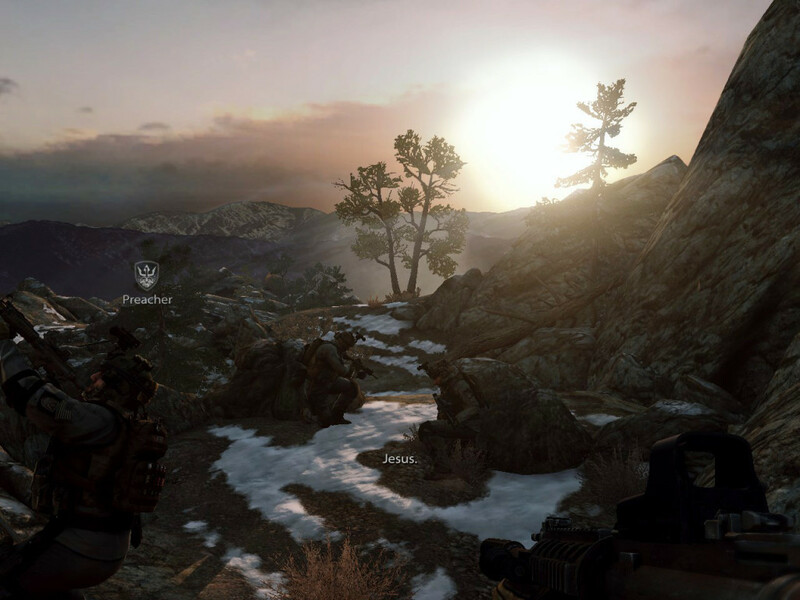 Instead it opts to be a slightly differently flavored, less polished version of Call Of Duty. There is a genuine respect that comes through, but I still feel like it’s doing a disservice to the men it’s depicting. The operations and all the trappings feel authentic in their banality. The drama is about getting the job done, even if you have no idea how the job matters in any way beyond yourself not dying. This is honest, in a way, but it leads to scenes where you just don’t plain care about the drama they’re pretending to be weaving. The illusion falls apart because the other operatives treat you as a kid – like the gamer pretending to be one of them. “Rabbit, come here!” “Rabbit, take the shot! Take it! Come on, Rabbit!” And you’re the only one ever hit. You’re refreshingly fragile, but you see the death scene a lot during the campaign. “Rabbit’s down!” is something you’ll grow very used to. It’s hard to understand the callout graphics for headshots that you’re seeing all the time – it’s the most often seen piece of HUD feedback you’re getting during gameplay. Where everything else is doing its best to bring a coherent, somber mood to the proceedings, this detail completely undermines the effort. The lazy PC port doesn’t help things as the HUD elements are ridiculously oversized for PC resolutions. It would all work a lot better if there was less characterization – not that there’s a lot – and a more of laser focus on the missions. 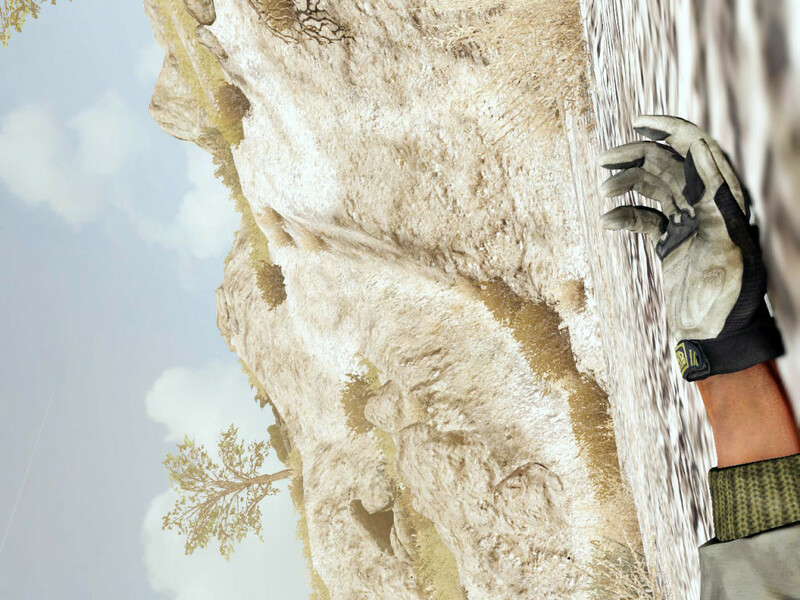 Look at the original Ghost Recon to see how this could’ve been done. Of course that had a much more open structure, but really nothing in Medal Of Honor would be in contradiction with that. They often present things like they weren’t a corridor shoot, but in reality they are. You can see the Frostbite engine chomping at the bit to be let loose when looking over the expansive mountain vistas.